Episode Summary: This week’s interview was recorded live at Nuance’s Silicon Valley office with guest Charles Ortiz, director of the AI and Natural Language (NL) Processing Lab for Nuance Communications in Silicon Valley. In this episode, Ortiz speaks about what he sees as the most important developments in natural language processing (NLP) over the last few years, what advancements brought us to where we are today, and where progress might take NLP in the coming years ahead (both at Nuance and beyond). 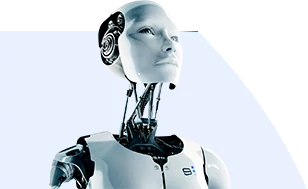 Expertise: AI theory and applications, robotics, large scale information and multiagent systems, knowledge representation and reasoning. He spent over 13 years at SRI as the Director of the AI Center’s Teambotics Program before coming to Nuance, where he has been since 2012. In addition to serving as a postdoctoral research fellow (collaborative multi-agent systems) at Harvard University, Ortiz has received his PhD in Computer and Information Science from University of Pennsylvania, his MS in Computer Science from Columbia University, and his bachelor’s degree in Physics from MIT. Brief Recognition: Charles Ortiz has over 20+ years of experience in AI research and technical management and over 50 peer-reviewed technical publications. (1:36) What are the industry technology meta-trends that are allowing speech and NLP to push forward as much as we’re seeing today? (3:30) Talk a little bit about Nuance’s history in bringing the ball forward to where speech recognition is now. Our systems have to become more proficient in being able to understand what the user wants done and not just in terms of an answer, like “what’s the temperature outside?” It’s more that the user wants to do something, say reserve a table somewhere for dinner or they want to find a store that has something in particular…you have to take the natural language processing in the front and carry it forth to the backend, which is responsible for doing the reasoning about the task. (6:36) I imagine you have to go through a lot of the uses case in AI…and think through what are the common situations of intent….is it calibrated per user, is it calibrated across conversations…how do we get closer to the next step – understanding intent? (12:49) Talk about common sense knowledge…some of that would be maybe if-then scenario, logic based, I Imagine some is teased out from failures and successes…how have you gone about approaching common sense knowledge for machines? CO: What we’re calling it is big knowledge to distinguish it from big data because it focuses on more general information; it’s a very challenging problem…there are three basic ways you can do this, and we’re taking a sort of hybrid approach to building these knowledge bases. (18:21) You’re thinking a lot about the future of this technology….in terms of where you see the possibility for transformative impact in that improvement of speech technology…where do you see 2 to 5 years where this could really take off and have a grip? I should mention…there’s been an effort in the last few years to come up with better measures of progress in AI, and these are in the form of alternatives to what’s called the Turing test, and one of those that we’re supporting has been promoted by the AI research organizations, the Winograd Skeema challenge (WSC) and it is meant to do two things…help measure progress in AI in this very challenging area and get more of academia involved, in terms of professors and students, in pushing the technology forward. Episode Summary: In this episode, we speak with Dr. Matteo Berlucchi, the founder of Your.MD, which uses artificial intelligence to create one of the first personal health assistant platforms in 70+ countries. Berlucchi talks about the challenges in making an AI do what you want, specifically helping people self diagnose and seek proper treatment. He discusses the multiple approaches to AI that are blended together in order to yield optimal results, and touches on the sometimes stark differences between what AI can do in the lab versus the functional application for tens of thousands of people. If you're interested in the diverse applications of AI and the challenges in running a startup, Dr. Berlucchi's makes for an interesting episode.